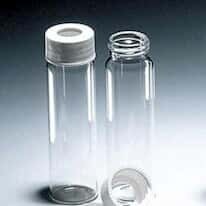 Our EPA precleaned vials meet strict EPA requirements. Certain vials are available with a certificate of analysis. Choose from vials for TOC and VOA usage in several capacities and dimensions.